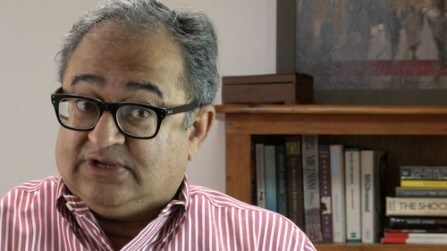 New Delhi : Today Tarek Fatah had to face a strong protest from certain people when he came to participate in the ongoing Jashn-e-Rekhta in New Delhi. Jamia Nagar based social activist and congress leader Pervez Alam Khan raised slogans against Tarek Fatah, when he entered the venue of Jashn-e-Rekhta. Pervez Alam objected his participation and asked him to leave India terming him as an ISI agent. This sloganeering continued for quite a long. After that Delhi Police took Pervez Alam under their custody to prevent any further disturbance in the program. Later Alam was released by the Delhi Police.